In sport, a cap is a metaphorical term for a player's appearance in a game at international level. The term dates from the practice in the United Kingdom of awarding a cap to every player in an international match of association football. In the early days of football, the concept of each team wearing a set of matching shirts had not been universally adopted, so each side would distinguish itself from the other by wearing a specific sort of cap. That all players taking part for England in future international matches be presented with a white silk cap with red rose embroidered on the front. These to be termed International Caps. The act of awarding a cap is now international and is applied to other sports. Although in some sports physical caps may not now always be given (whether at all or for each appearance) the term "cap" for an international or other appearance has been retained as an indicator of the number of occasions on which a sportsperson has represented a team in a particular sport. Thus, a "cap" is awarded for each game played and so a player who has played x games, for the team, is said to have been capped x times or have won x caps. The practice of awarding a physical cap varies from sport to sport. It may be awarded prior to a player's debut or, particularly for national teams, a commemorative cap may be awarded after a player reaches the 100th cap. The team captain of an association football team, sometimes known as the skipper, is a team member chosen to be the on-pitch leader of the team: it is often one of the older/or more experienced members of the squad, or a player that can heavily influence a game or have good leadership qualities. The team captain is usually identified by the wearing of an armband. A football pitch (also known as a football field or soccer field) is the playing surface for the game of association football. Its dimensions and markings are defined by Law 1 of the Laws of the Game, "The Field of Play". The surface can either be natural or artificial. Artificial surfaces must be green in colour. The pitch is typically made of turf (grass) or artificial turf, although amateur and recreational teams often play on dirt fields. All line markings on the pitch form part of the area which they define. For example, a ball on or above the touchline is still on the field of play, and a foul committed over the line bounding the penalty area results in a penalty. Therefore, a ball must completely cross the touchline to be out of play, and a ball must wholly cross the goal line (between the goal posts) before a goal is scored; if any part of the ball is still on or above the line, the ball is still in play. The field descriptions that apply to adult matches are described below. Note that due to the original formulation of the Laws in England and the early supremacy of the four British football associations within IFAB, the standard dimensions of a football pitch were originally expressed in imperial units. The Laws now express dimensions with approximate metric equivalents (followed by traditional units in brackets), but use of the imperial units remains common in some countries, especially in the United Kingdom. A football player or footballer is a sport person who plays one of the different types of football. The main types of football are association football, American football, Canadian football, Australian rules football, Gaelic football, rugby league and rugby union. It has been estimated that there are 250 million association football players in the world, and many play the other forms of football. A football team is a group of players selected to play together in the various team sports known as football. Such teams could be selected to play in a match against an opposing team, to represent a football club, group, state or nation, an all-star team or even selected as a hypothetical team (such as a Dream Team or Team of the Century) and never play an actual match. A hat-trick or hat trick is the achievement of a positive feat three times in a game, or another achievement based on the number three. A midfielder is an association football position. Midfielders are generally positioned on the field between their team's defenders and forwards. Some midfielders play a disciplined defensive role, breaking up attacks, and are otherwise known as defensive midfielders. Others blur the boundaries, being more mobile and efficient in passing: they are commonly referred to as deep-lying midfielders, play-makers, box-to-box, or holding midfielders. The number of midfielders on a team and their assigned roles depends on the team's formation; the collective group of these players on the field is sometimes referred to as the midfield.Most managers assign at least one midfielder to disrupt the opposing team's attacks, while others may be tasked with creating goals, or have equal responsibilities between attack and defence. Midfielders are the players who typically travel the greatest distance during a match. Because midfielders arguably have the most possession during a game they are among the fittest players on the pitch. An own goal is an event in competitive goal-scoring sports (such as association football or hockey) where a player scores on their own side of the playing area rather than the one defended by the opponent. Own goals sometimes result from the opponent's defensive strength, as when the player is stopped in the scoring area, but can also happen by accident. Since own goals are often added to the opponent's score, they are often an embarrassing blunder for the scoring player, but in certain sports are occasionally done for strategic reasons. In some parts of the world, the term has become a metaphor for any action that backfires on the person/group undertaking it, sometimes even carrying a sense of "poetic justice". During The Troubles, for instance, it acquired a specific metaphorical meaning: referring to an IED (improvised explosive device) that detonated prematurely, killing the very person making or handling the bomb with the intent to harm only others. In February 1996, the death of Edward O'Brien in such an incident was followed by an article in The Independent entitled "Terrorists killed by their own devices".A player trying to throw a game might deliberately attempt an own goal. Such players run the risk of being sanctioned or banned from further play. A penalty kick (commonly known as a penalty or a PK) is a method of restarting play in association football, in which a player is allowed to take a single shot on the goal while it is defended only by the opposing team's goalkeeper. It is awarded when a foul punishable by a direct free kick is committed by a player in his or her own penalty area. The shot is taken from the penalty mark, which is 12 yards (11 m) from the goal line and centred between the touch lines. In practice, penalty kicks result in goals more often than not, even against the best and most experienced goalkeepers. This means that penalty awards are often decisive, especially in low-scoring games. Similar kicks are made in a penalty shootout in some tournaments to determine which team is victorious after a drawn match; these are governed by slightly different rules. In association football, the referee is the person responsible for enforcing the Laws of the Game during the course of a match. He or she is the final decision-making authority on all facts connected with play, and is the only official on the pitch with the authority to start and stop play and impose disciplinary action against players during a match. 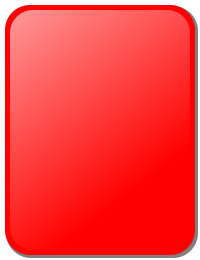 At most levels of play the referee is assisted by two assistant referees (formerly known as linesmen), who are empowered to advise the referee in certain situations such as the ball leaving play or infringements of the Laws of the Game occurring out of the view of the referee; however, the assistant referees' decisions are not binding and the referee has authority to overrule an assistant referee. At higher levels of play the referee may also be assisted by a fourth official who supervises the teams' technical areas and assists the referee with administrative tasks, and, at the very highest levels, additional assistant referees and/or video assistant referees. Referees' remuneration for their services varies between leagues. 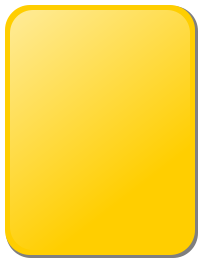 Many are wholly amateur, some may be paid a small fee or reimbursed for expenses, and, in some countries, a limited number of referees – mainly those who officiate in their country's top league – are employed full-time by their national associations and receive a retainer at the start of every season plus match fees. Referees are licensed and trained by the same national organisations that are members of FIFA. Each national organisation recommends its top officials to FIFA to have the additional honour of being included on the FIFA International Referees List. International games between national teams require FIFA officials. Otherwise, the local national organisation determines the manner of training, ranking and advancement of officials from the youngest youth games through professional matches. In association football, a substitute is a player who is brought on to the pitch during a match in exchange for an existing player. Substitutions are generally made to replace a player who has become tired or injured, or who is performing poorly, or for tactical reasons (such as bringing a striker on in place of a defender). Unlike some sports (such as American football, ice hockey or kabaddi), a player who has been substituted during a match may take no further part in it. Most competitions only allow each team to make a maximum of three substitutions during a game and a fourth substitute during extra time, although more substitutions are often permitted in non-competitive fixtures such as friendlies. A fourth substitution in extra time was first implemented in recent tournaments, including the 2016 Summer Olympic Games, the 2017 FIFA Confederations Cup and the 2017 CONCACAF Gold Cup final. A fourth substitute in extra time has been approved for use in the elimination rounds at the 2018 FIFA World Cup, the UEFA Champions League and the UEFA Europa League. Each team nominates a number of players (typically between five and seven, depending on the competition) who may be used as substitutes; these players typically sit in the technical area with the coaches, and are said to be "on the bench". When the substitute enters the field of play it is said they have come on or have been brought on, while the player they are substituting is coming off or being brought off. A player who is noted for frequently making appearances, or scoring important goals, as a substitute is often informally known as a "super sub". A treble in association football is achieved when a club team wins three trophies in a single season. A 'continental treble' involves winning the club's national league competition, main national cup competition and a continental trophy. A 'domestic treble' involves winning three national competitions—normally the league title, the primary cup competition and one secondary competition.